I think the first free book site that ever came to my attention was BookBub. It’s a huge site that boasts hundreds of books every day that it seems to be giving away. To me, it sounded too good to be true: must be either a scam or some kind of pirating deal that will, at best, infect my computer with a virus, and at worst, is cheating authors out of their royalties. Authors spend money–in the case of BookBub, hundreds of dollars–to get their books featured on these sites. New free-and-cheap book sites are popping up all the time. They gather the e-mails of avid readers and send out newsletters to let them know where to find the best deals. Some even have contests in which readers can win things like e-readers and gift cards. And it’s all perfectly legit. Categories: advice, Cool Stuff | Tags: #amreading, BookDoggy, books, contests, fiction, free books, love books, novels, sign up, The Magician's Curse, writers | Permalink. When I wrote my very first novel in 2004 (I think), Trixie In a Box, about a woman stuck in an elevator in a deserted building over a long weekend, I had no idea what genre to place it in. Which is partially why I still haven’t published it. If it was a movie, it would be a drama. While Trixie is enclosed in her dark metal box, her family goes through a crisis and barely notices she’s missing. This conundrum has led me to much contemplation on the meaning of the word “drama.” Why it’s not recognized and hugely popular as a literary genre is beyond me. If you think about it, drama in movies is really simply a slice of ordinary life. Sure, something significant happens within that hour and a half, but things happen in life all the time. Unless we’re in an extended rut, we tend to go from one drama to the next. The most popular recent use of “drama” is related to angst. Often teenage angst; a negative connotation that’s made the word almost cringe-worthy. So what to do with Trixie? It will take some major up-to-snuff editing to elevate (pun not intended) her to literary fiction. I do hope she’ll see the light of day (okay, that one was a little bit intended) eventually. 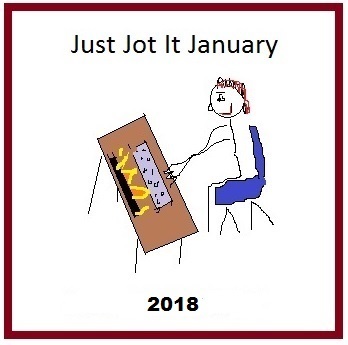 This post is brought to you by Just Jot it January, and in particular, prompted by the word, “drama,” provided by Ritu! Thanks so much, my dear! You can find Ritu’s own JusJoJan post by clicking right here. Please go and say hi! To participate in the prompt, please visit this post, where you’ll find the rules and you can leave your link in the comments. Categories: Blogging, Blogs, Just Jot it January 2018, Writing | Tags: blogging prompt, genres, inspiration, JusJoJan, novels, writers, writing fiction, writing prompt | Permalink. Welcome to another Christmas Book Fair featuring authors from the bookstore and the books that would make wonderful gifts for all ages. With 160 authors to feature it is time to pack the shelves. 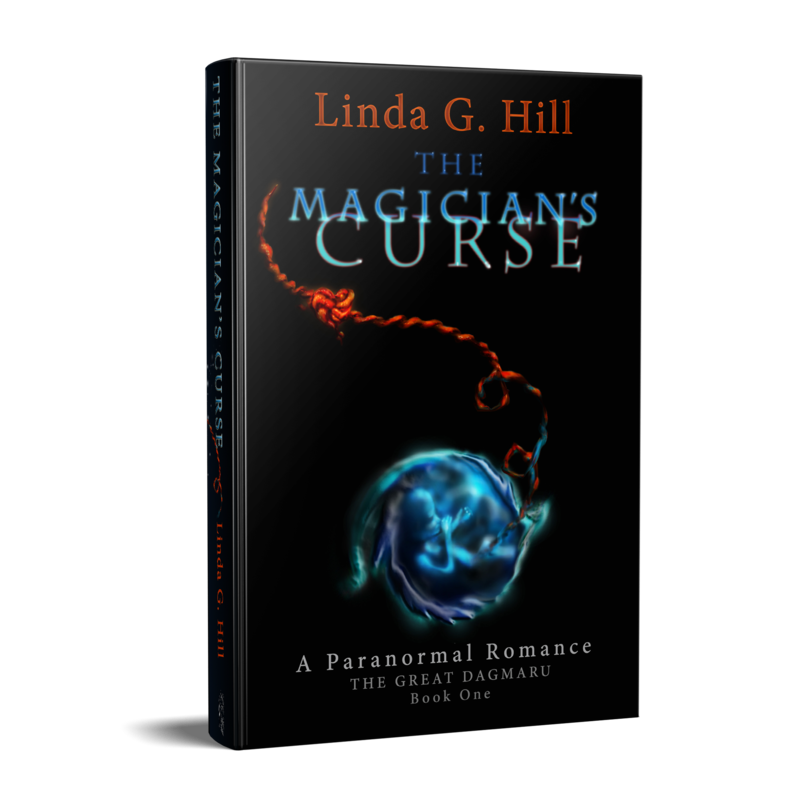 The first author is Linda G. Hilland her book The Magician’s Curse: A Paranormal Romance – The Great Dagmaru Book 1. Categories: Reblogs | Tags: #amreading, books, books as gifts, Christmas, fiction, gift giving, novels, romance, The Magician's Curse, wish list | Permalink. I’m giving this book four stars even though it pissed me off. For the first half of the book I didn’t really like Clementine, the main character, which made it hard to care about her. What gives the novel four stars is the compelling way it’s written. Ms. Ream is an extremely talented storyteller. She pulled me through the tale until I couldn’t put it down. Until I began to feel angry because in the end, I was forced to care about a woman determined to end her life. I was mad at Clementine. The novel made me feel, which for me is the greatest compliment anyone can give to a writer. Losing Clementine is not a lighthearted read. It’s a powerful one, about relationships and how deeply they can affect everything, right down to personality. Categories: Opinion, Reviews, writers | Tags: Ashley Ream, book reviews, characters, fiction, Losing Clementine, novels, novels about mental health, recommendations, relationships | Permalink.